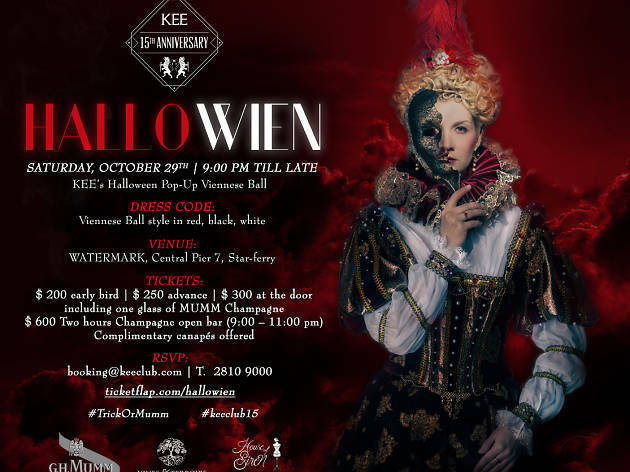 Kown for their lavish parties, Kee is presenting a Halloween party that this year promises to be bigger and wilder than ever. 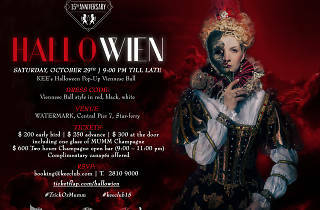 They've teamed up with Mumm Champagne and House of Siren to create a pop-up Viennese ball at Central's Pier 7, which features live performances, DJs, scary surprises and some of the most stunning views in town. Prizes will also be awarded (after midnight) for the best costume on the night, so make sure you go all out with this year's theme, Overdressed, in red, black or white.